Consible is an independent access management and monitoring solution used to ensure accountability between multiple parties when accessing servers. An example of this is where two companies have an operations or development level contract specifying that access must be provided to both parties. Consible ensures that everyone has the right level of access and that all activity is recorded to ensure accountability. We provide a simple to use web interface where users can manage, access and review all activity across their servers. Consible aims to provide an easy to use and understand interface for managing and monitoring access to your servers. Consible has permissions management that scales with your business. From a simple flat structure, you can expand out to custom developed permissions management that suits your business. Everything developed in Consible was designed with your security in mind. We have built many protections and security related features into Consible. See the security section for some of highlights. 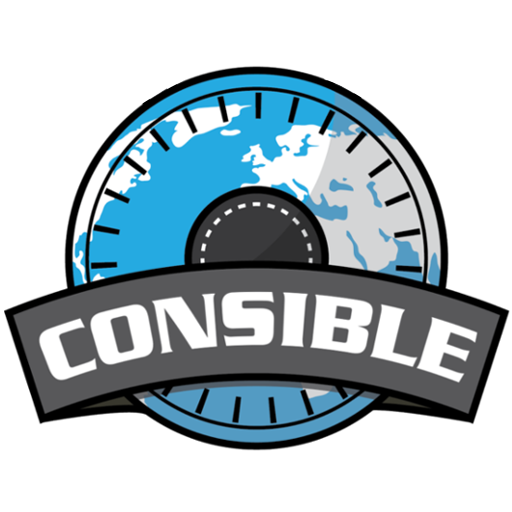 Consible records all activity on all sessions managed on your server. These recordings can be replayed at any time, just like you would replay a video. If that isn’t enough, you can get a detailed analysis of exactly what went on. Consible helps with PCI compliance, contact us for more details. Consible is built for cloud based companies. As a result we have specific features such as several built in methods for handling auto scaling resources. How we secure your resources so you don't have to think about it. All sensitive information that we record is kept encrypted at rest with AES-256 GCM. Session recordings of your terminal output are stored in our custom encrypted block filesystem which are then secured with each users credentials. Permission management is enforced with a combination of nested RSA4096 and AES265 enforcing access control at a encryption level. All encryption is a one-way chain from each users original password down to each action in each session. While Consible doesn't directly perform certain actions, we will let you know if any unusual activity has occured, or we believe that actions are required based on our best- practices to ensure your account and remote systems stay secure. By having a centralized web based entry point, we can proactively keep watch over your remotes to ensure that only the users and teams with the right level of access can make it onto your systems. Get started as soon as possible, with our simple cloud based offering. All the service is managed for you. All you need to do is put in your details. Our plans start from $100/month, or $1000/annum. Please contact us to discuss your requirements. We can manage a private cloud based instance for you. You and your clients will be the only users with access to the dedicated instance, using your domain name! Our plans start from $25,000/annum. Monthly pricing is available. Please contact us to discuss your requirements. For those that require on premise deployments, we can provide a virtual appliance you can install on site. If your query is not answered below, please contact us for further help. How is my data stored and encrypted? All customer data is encrypted at rest and in transit. We use a special onion based database encryption scheme that ensures that access policies are enforced at the encryption level. This is done using a combination of Parent-Child based AES key-chaining and RSA key exchange inside the database and data store. What are my options for using the software? We highly recommend using us as an independent party to help enforce accountability and as a safeguard. What ways can I access my servers? What are your requirements for on premise or private cloud deployments? Please contact us! It would help to know what your requirements are. How many users/servers? How long you need to retain data? How many sessions do you expect to occur? Typically we recommend having a highly available setup of at least 2 machines in a cluster. However the application is built around micro services and could be split up further depending on requirements. Consible © 2017. All Rights Reserved.